James Henry Weeks was born 20 Sep 1850 in Sampson County, NC. He was the only child of James Kenan Weeks (b. 11 Sep 1811, d. 04 Jun 1893) and Mary "Polly" Van (b. 05 Dec 1822, d. 09 May 1899). Some researchers show James Henry's birthday as 23 May 1851. The headstone at his grave site used this date. Also, even though his Death Certificate doesn't show his birthdate, it does say that at the time of his death on 29 Mar 1926, he was 74 years 10 months and 6 days old - indicating that his birthdate was 23 1851. My reason for listing his birthday at 20 Sep 1850 is based on the 1850 Sampson County, NC, Census. The Census which was enumerated on the 28th day of September 1850 shows that James Henry (listed as "James") was 8-days old. I realize that Census records are frequently incorrect, but it would be impossible to show his birth on the 1850 Census if he wasn't born until 1851. Further, the 1860 Census shows his age as 10, the 1870 Census shows his age as 20 and the 1880 shows his age as 30. All 4 Census indicate his birth as happening during 1850 and not 1851. The 1900 Census shows his birth month as May and his birth year as 1851. The 1850 Census shows Kenan/Kenion and Mary Weeks living in the Northern Division of Sampson County, NC, with their son James and a 15-year-old girl names Elizabeth A. Bell. The Census when it was enumerated on the 28th day of September 1850, shows James' age as "8 days". Page 105 of the 1860 Census shows Kenion and Mary living in the Piney Grove District of Sampson County, NC. There were seven people living in the Weeks home including son James Henry (age 10), Lewis Jackson (age 15) and Betsy Lindsey (age 20). There were also two mulato girls living with the family - Mary Smith (age 10) and Sally Smith (age 6). The Real Estate Value was $2000 and the Personal Estate Value was $900. James Henry, Lewis and Betsy attended school during the year, but not the two mulato girls. Page 1 of the 1870 Census shows Kenion and Mary still living in the Piney Grove Township of Sampson County, NC. Kenion's (James K.'s) Real Estate Value had dropped over the previous 10-years from $2000 to $700. 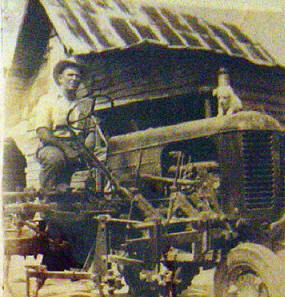 Son James Henry was working of the family farm but the Census also indicates that James Henry had attended school during the year. Also living with the family were Susan Jane Bryant (age 20 - without occupation) as well as Elizabeth A. Roberts (age 26 - without occupation) and her son Joseph White Roberts (age 6). Could this Elizabeth A. Roberts be the same Elizabeth A. Bell (age 15) from the 1950 Census - if so, one of the ages is incorrect. 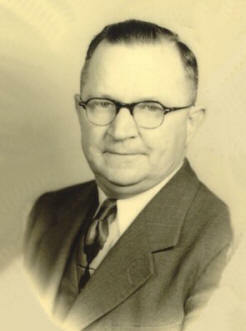 James Henry Weeks was married three times. His first marriage was to Ella Luta King on 16 Nov 1871 in Sampson County, NC. Ella was born 13 Jan 1857 and was 14-years-old (2 months before turning 15)when she married James Henry Weeks. He was 21. 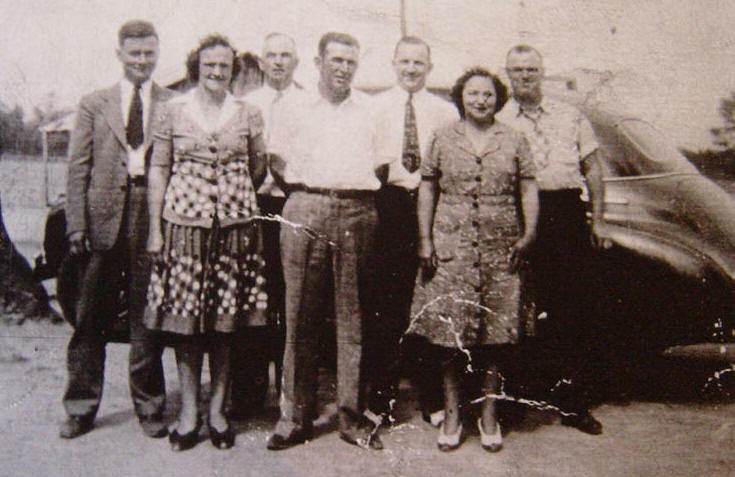 Their only child, Eula Mae Weeks, was born 18 Dec 1872 in Sampson County, NC. Ella died 18 Jul 1873 at the age of 16 and was buried in the Kenion Weeks Cemetery in Sampson Co, NC. She was the daughter of Lewis Cogdell King (b. 1826, d. 1901) and Sarah Marshburn (b. 1829, d. 1890). After Ella's death in 1873, James Henry's daughter Eula Mae went to live with her paternal grandparents, Kenion Week & Mary Van. James Henry married for a second time on 23 May 1874 (10 months after Ella's death) to Sarah Adelaide Robinson. Sarah was born 08 Jun 1852 in Ingold, Sampson County, NC, and is believed to be the daughter of Isaiah Robinson and Evaline Caroll. Page 16 of the 1880 Census shows James Henry Weeks and his wife, Sarah A., living near his parents, Kenon and Mary Weeks, in the Piney Grove Township of Sampson County, NC. James Henry's age was listed on the Census as 30 and Sarah was 28. 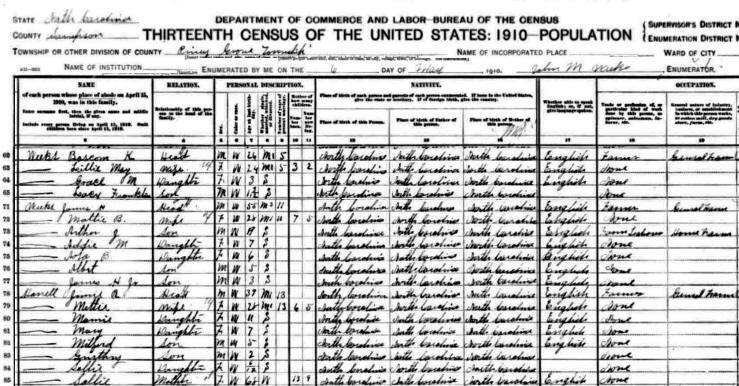 They had 3 children at the time of the Census: Martin Luther (age 3), Mamie "Mary" E. (age 2) and Liona F (age 11 months - born July 1879). There was also a female helper living with the family, B. A. Roberts (age 30). James Henry and Sarah's marriage produced at least Eight children - born between 1875 and 1889. Sarah Adelaide Robinson Weeks died 31 Dec 1895 in Goshen, Sampson County, NC, and was buried in the Kenion Weeks Cemetery in Goshen, Sampson County, NC. She was 46 years old at the time of her death and James Henry was 48. After Sarah's death in 1895, James Henry married for a third time on 02 Jun 1898 (two and a half years after Sarah's death) to Mattie Byrn Harrell. Mattie was born 01 Aug 1880 in Wayne County, NC, and was the daughter of Fernifold Fernie Harrell (1828 - 1898) and Sally King. Mattie was 17 years old at the time she married James Henry and he was 50. 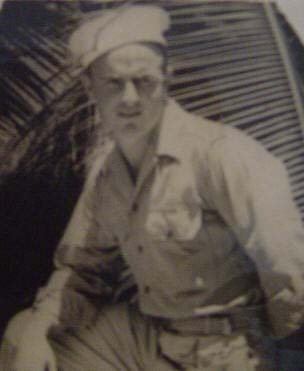 Mattie had 9 siblings: William H. (b. 1868), James R. (b. 1871) Ludenia "Deania" (b. 1871), Polley (b. 1873), Minnie (b. 1874), Furney (b. 1877), George (b. 1884), Sallie K. (b. 1887) and Lee (b. 1890). Sheet 7 of the 1900 North Carolina Census finds James Henry and his new wife, Mattie Byrn Harrell, living in the Piney Grove Township of Sampson County. James Henry's age is listed as 49 and his birth month and year are listed as May 1851. 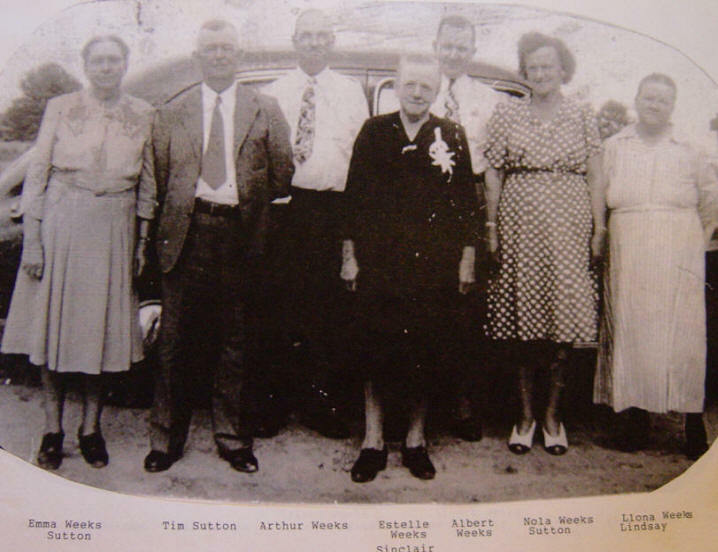 Mattie's age was 18 and there were 5 children living in the home: Mamie (age 20), Bascom (age 17), Emma (age 15) Estella (age 10) and new-born son Arthur James (age 12 months) who is listed as "B" in the marriage column - more than likely indicating he was a "Baby". Arthur was born 06 May 1899 in Goshen, Sampson County, NC. James Henry and Mattie's marriage produced at least 15 children. 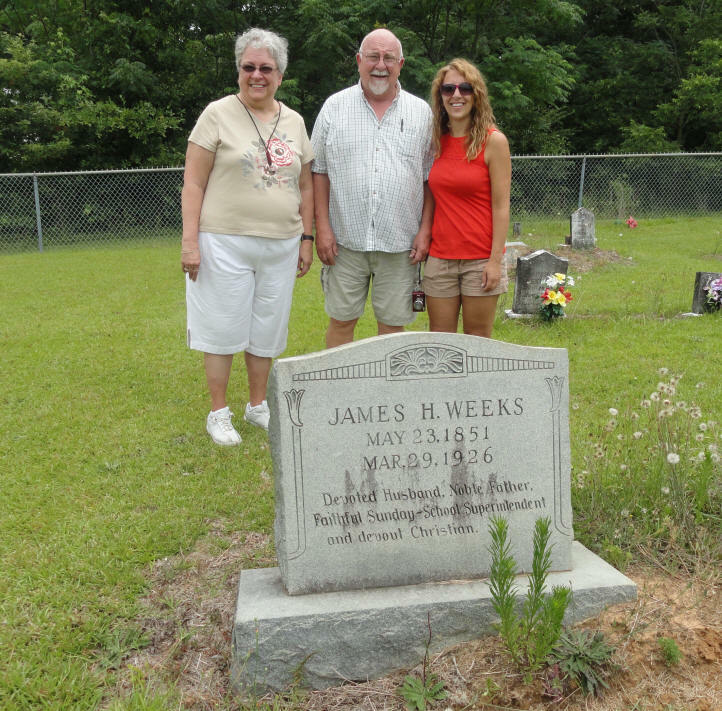 The 1938 Sampson County Historical Records Survey of NC show that James Henry Weeks had sons named Marion E. Weeks, Leslie Weeks, Labon Weeks, Gilbert Weeks as well as a daughter named Sallie - all buried in the Kenion Weeks Cemetery in Sampson County, NC. The 1910 North Carolina Census shows James Henry and Mattie B. living in the Piney Grove Township of Sampson County, NC. 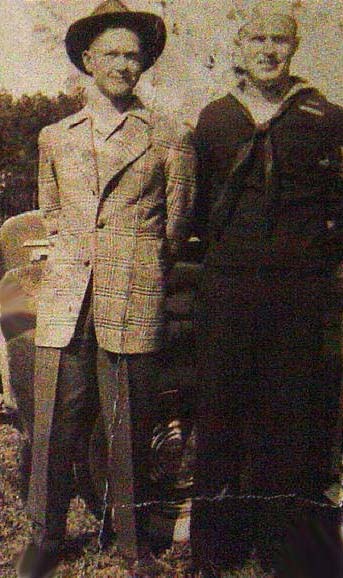 His son Bascom Kenion Weeks was living nearby - as was Mattie's brother, James R. Harrell. 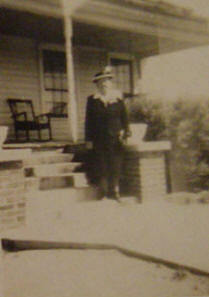 Mattie's mother (Sallie, age 68) was living with James R. Harrell. 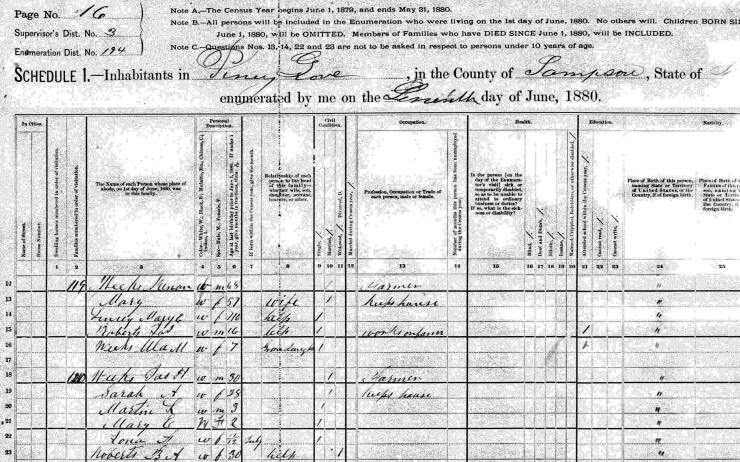 The Census indicates that James Henry and Mattie have been married for 11 years - showing that she has had 7 children, but only 5 were still living. 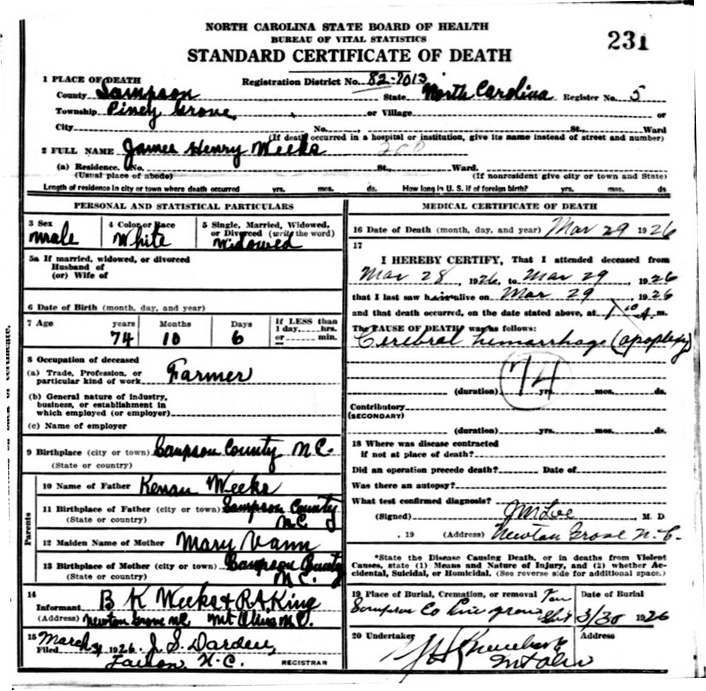 Mattie was pregnant at the time of the Census (06 May 1910) and their son Melvin Wade Weeks was born 10-days later on 16 May 1910. Children living in the James Henry Weeks home at the time were Arthur James, Addie Mae, Nola Brown, Albert Sidney and James Henry Jr. The 1920 North Carolina Census shows James Henry and Mattie Byrn still living in the Piney Grove Township of Sampson County. His age is listed as 66 and her age is listed as 40. They have five children living in the family home: Albert Sidney (age 14), James Henry Jr. (age 12), Melvin Wade (age 7), Thelma Louise (age 4 years and 2 months) and Martin Luther (age 2 years and 11 months). James Henry's son Bascom is still living nearby with his wife Lillie May and four sons. James Henry's wife, Mattie Byrn Harrell Weeks, died 08 Aug 1924 while giving birth to Cleaford Earl Weeks. She was 44 years old at the time and was buried in the Kenion Weeks Cemetery in Piney Grove Township (Hoe Swamp area), Sampson County, NC. James Henry Weeks died on 29 Mar 1926 as the result of a "cerebral hemorrhage" (or stroke). He was 74 years old at the time. James Henry was buried in the Kenion Weeks Cemetery in Piney Grove, Sampson County, NC. SUMMARY: James Henry Weeks married Ella Lulu King when he was 21 and she was 14. Their marriage produced one daughter. Ella died at the age of 16 and James Henry married Sarah Adelaide Robinson. He was 23 and she was 21. Their marriage produced eight children. 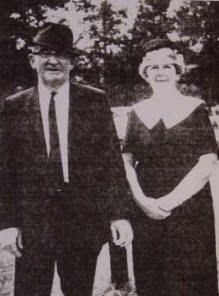 After her death, he married Mattie Byrn Harrell. He was 47 and she was 17 (almost 18). Their marriage produced fifteen children. In total, James Henry Weeks (who was an only child) was father to 24 children - including two sons named Martin Luther Weeks. If you have additional information or photos of James Henry Weeks, please contact me.